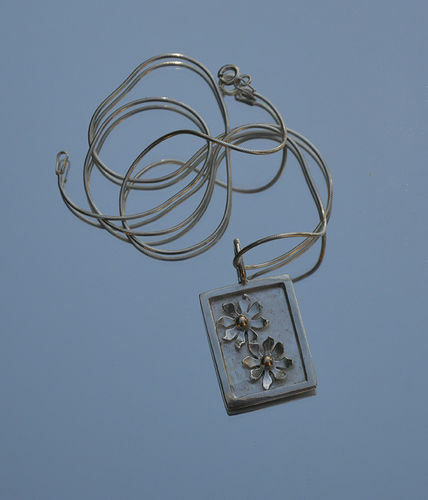 Sterling silver and gold picture pendant. It comes with an 18 inch snake chain but you can have one in 14, 16 or 20 inches if you let me know. It is hallmarked at the London Assay Office with my VW mark and will come in a silver box lovingly wrapped with a purple ribbon.